The first time I was exposed to the puritan Richard Sibbes was after a very difficult season of ministry. I picked up The Bruised Reed and while reading it God brought about a lot of healing. In a time where I both felt very alone, Sibbes reminded me of the Lord's love for me. While reading through these works I was brought back to that time. I am truly thankful for the faithful ministry of Richard Sibbes who still continues to counsel and pastor through works such as this. Richard Sibbes was born in 1577 in England. At the age of 33, he began his ministry at Holy Trinity Church, Cambridge as a lecturer. He also served 16 years as the pastor of Gray's Inn in London shortly after. Sibbes ministered at each of these places until his death on July 6th, 1635 at the age of 58. This set by Banner of Truth is a must have. A lot can be said about the importance of this set and how monumental the printing of these seven volumes is, but I will leave that to Mark Dever. Just google "Mark Dever Richard Sibbes" and you will have all you need to know. 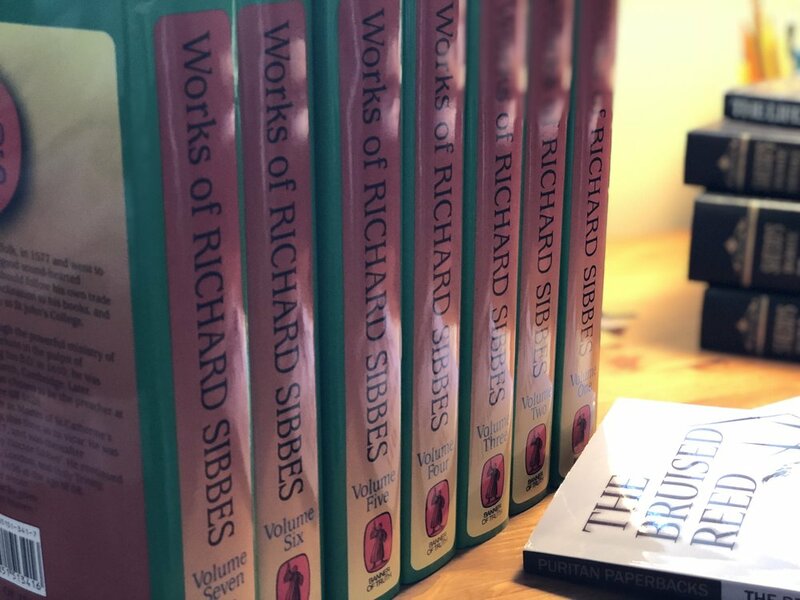 Dever says when reading the works of Sibbes you will see that, "Christ is central, his glory is great, his wrath is terrible, and his mercy is overwhelming." This sums up pretty much what you will get when reading "the heavenly Doctor Sibbes." "As the strongest faith may be shaken, so the weakest, where truth is, is so far rooted that it will prevail. Weakness with watchfulness will stand, when strength with too much confidence fails. Weakness, with acknowledgment of it, is the fittest seat and subject for God to perfect His strength in; for consciousness of our infirmities drives us out of ourselves to Him in whom our strength lies." Volume 1 features Sibbes' most-known works such as The Bruised Reed. Volume 2 features sermons on the Song of Solomon and Hosea. Volume 3 is basically a whole commentary on 2 Corinthians 1. In this volume you will see the careful work of Sibbes dedicating 500 pages to only one chapter of 2 Corinthians. Volume 4 features a lot of amazing theological work. Volume 5 features some shorter sermons on Paul's epistles. Volume 6 features some longer sermons. 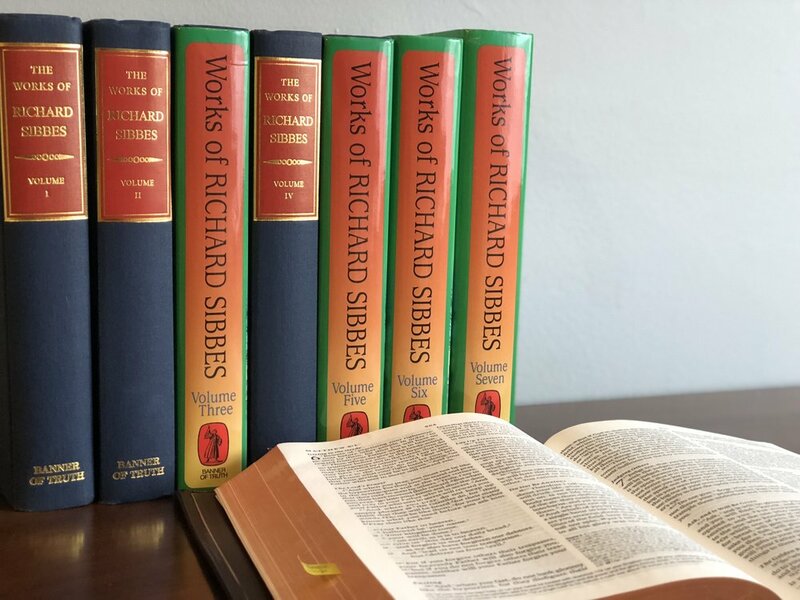 Volume 7 features Sibbes last two sermons. One of them was one week before he died. I've mentioned this before, but the construction of these types of books is important. I don’t want a book that is constructed poorly because it will eventually fall apart. Most Banner books are printed and constructed at Versa Press in East Peoria, IL. When I see a book that is printed there, I know I am getting great quality. I know this because I have put some of my other Banner books through the ringer and they have stood the test of time. This is a set you need to get! Sibbes will encourage you in your faith. You will be reminded of God's love for you in Christ. The Puritans have so much to offer us in our day and age. You will be astounded at the timeless truths being presented and the amazing insight that the Lord gave this man back in the 1600s. You can purchase this set from Amazon for a great price. You can also purchase it from Banner of Truth.